Brand your own design onto a paper straw, or on the paper wrap. 7 3/4 inch black or white papers straw wrapped in paper – Buy by the 1,000, or by the case – 10,000 per case. 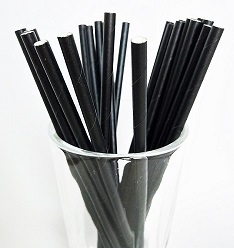 5 3/4 inch black or white paper cocktail straws wrapped in paper- Buy by the 1,000 or by the case – 15,000 per case. We use an in-house mix of organic glues to bind our triple wrapped, food-grade paper straw together. No wax coatings. 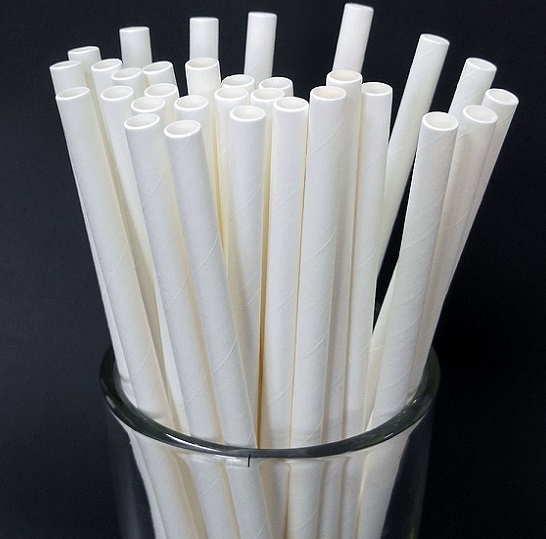 All Sizes of straws can be had. Please let us know sizes you require and we can confirm costing stock and delivery.